What’s better than gooey chocolate loaded brownies? A cleaner, gluten-free, vegan version topped with salted caramel, of course! 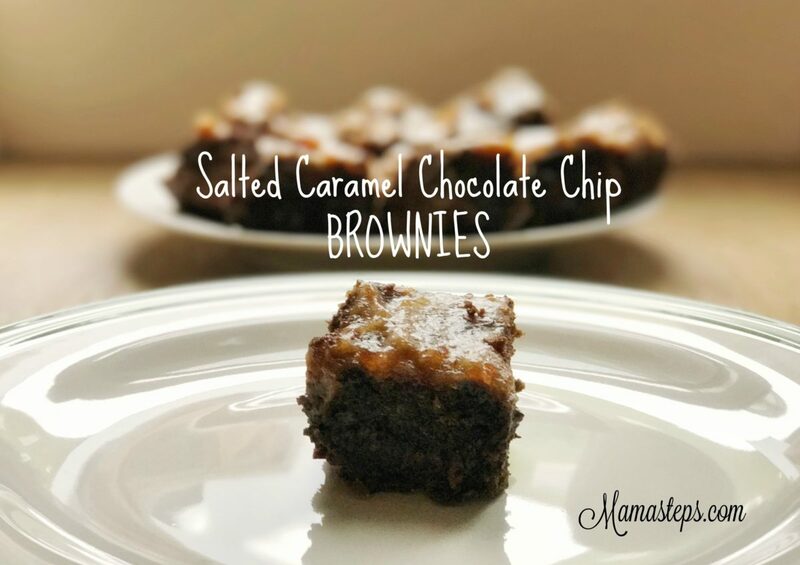 We made these for Super Bowl Sunday and let me tell ya- they were a hit (although, thankfully, there were a few leftover for me to eat the day after… YUM!) 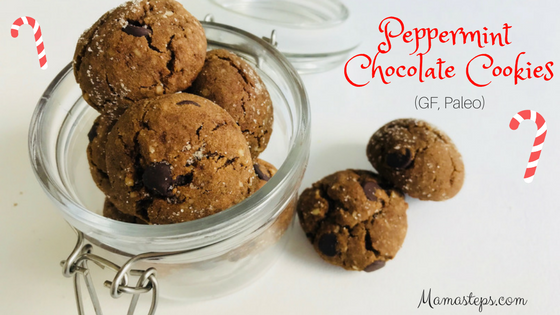 The original recipe by Petite Allergy Treats was our inspiration for these yummy treats (with a few mods based on what we had in the kitchen + an addition of Lily’s Baking Chips, which are fair trade, all-natural dark chocolate chips, slightly sweetened with all-natural Stevia!). 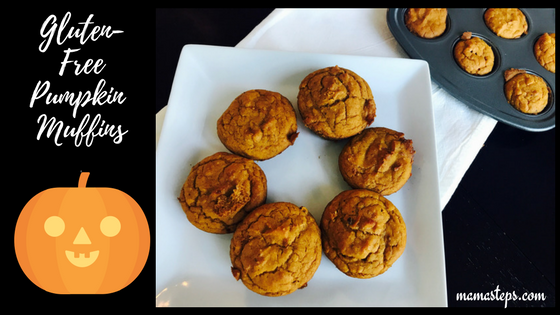 Whip up a batch as soon as possible- you won’t be disappointed! Combine dry ingredients except sugar. Combine milk, oil, vanilla, and sugar- mix and allow to sit for 5 minutes. Use a mixer to combine the wet ingredients into the dry. Spray an 8×8 pan with cooking spray and spread batter. Bake at 350˚ for 25 to 30 minutes. Allow to fully cool before cutting or removing from pan. Combine in high powered blender or food processor until smooth. Smooth on top of brownies- add some more chocolate chips on top if desired- and enjoy! 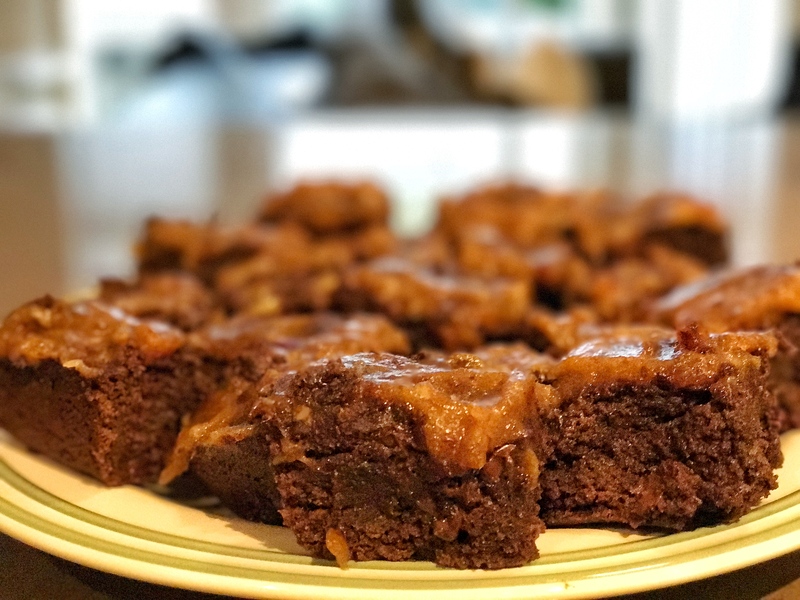 If you’re like us and can never get enough brownies, try these raw pecan brownies next! *This post may contain affiliate links, which allows us to earn a small commission to keep the blog up and running. However, we only endorse or advertise products we ourselves use, trust and love.